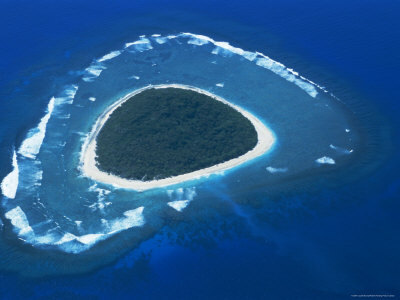 “No man is an island” is a line written by the famous metaphysical poet John Donne, but it is a disputable premise. In effect, every man is an island whose existence is very much like that of England, Ireland, Australia, New Zealand and Japan, all countries created on large islands bounded by one or another body of salty water. After the euphoria of gestation in the amniotic sac, we are all born into a state of isolation, which is the condition in which we die. We may be grieved and missed, but no one can die with us. If someone is upset enough about our deaths, they might die (you’ve heard the stories about couples who die within hours of each other). They might even commit suicide, but there is no known method by which one human being can inhabit or occupy the insides of another. Technology faces no such limitations. Hard drives are replaced and technicians routinely enter the intelligences of computers to perform even the most mundane tasks. But despite the advent of fMRIs, which measure brain function, no one is able to enter another consciousness, the filter through which each of us perceives the world. If you think about this condition, it’s rather disconcerting. For all our vain attempts to form vehicles of congregation that offer the reassuring prospect of something greater than the individual (to which we all can ostensibly belong), there is nothing that can truly fulfill our desire for ultimate union unless you believe in the unverifiable yet tantalizing prospect of a Kingdom of God in the here or hereafter.